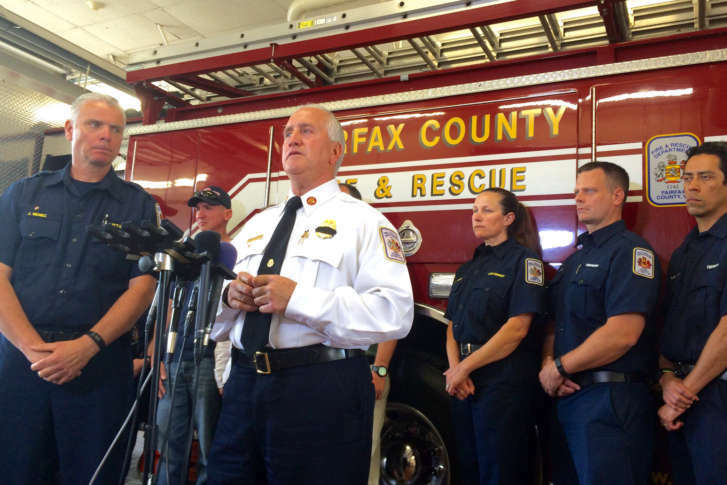 Fairfax County Fire Chief Richard Bowers' retirement announcement comes weeks after new complaints of sexual harassment and bullying emerged in the department. WASHINGTON — Fairfax County Fire Chief Richard Bowers will step down in April. The retirement announcement Friday comes weeks after new complaints of sexual harassment and bullying emerged in the department. While the department had made progress in some areas, complaints have persisted. The lengthy reviews and follow-up complaints were largely prompted by the 2016 suicide of 31-year-old firefighter Nicole Mittendorff. On Feb. 1, Bowers said he had no plans to resign. Bowers has led the Fairfax County Fire Department for five years. Before that, he worked for 35 years in Montgomery County’s Fire and Rescue Service, rising to serve as the agency’s chief. He told the department of his plans to retire, effective Apr. 30, on a conference call and in an email Friday afternoon. Bowers did not specifically address the ongoing scrutiny about reports of harassment in his email. “I want all the men and women of the Fairfax County Fire and Rescue Service, career, volunteer and civilian staff to know you are outstanding people and I respect each and every one of you. You are hard workers and I am so proud of everyone and of this department!” Bowers said in the email. Bowers said he would pursue “other personal and professional endeavors and opportunities” after ensuring a smooth transition. “I need everyone to keep focused on the mission and in making sure we take care of each other and the residents who we serve. I need you to respond to the needs of our residents and in turn, I will always support and take care of everyone in the department,” Bowers wrote. Bulova said she and the board were concerned by the pace of the reforms, saying, “change doesn’t happen immediately.” She pointed out that “some of the issues and the problems we’ve identified have been with the fire and rescue department for some time,” and said, “I know the chief shares my concern” about those problems. Read Bowers’ full message to the department below. Good afternoon Fairfax County Fire and Rescue personnel! I have proudly and honorably served in the Fire and Rescue profession for almost 41 years. Of those 41 years, 10 of those years have been as a Fire Chief for Metropolitan Fire and Rescue Departments. I want all the men and women of the Fairfax County Fire and Rescue Service, career, volunteer and civilian staff to know you are outstanding people and I respect each and every one of you. You are hard workers and I am so proud of everyone and of this department! I thank you for the opportunity to be your Fire Chief and serve you and the residents of Fairfax County. We have built a strong foundation and achieved so much by working together. I have informed County Executive Hill and Deputy County Executive Rohrer that effective April 30, 2018 I will retire as Fire Chief of the Fairfax County Fire and Rescue Department. I will be pursuing other personal and professional endeavors and opportunities. I have made a commitment to County Executive Hill, Deputy County Executive Rohrer and Chairman Bulova that there will be a complete and thorough leadership transition between now and April 30, 2018. I need everyone to keep focused on the mission and in making sure we take care of each other and the residents who we serve. I need you to respond to the needs of our residents and in turn, I will always support and take care of everyone in the department. We move forward! I will always stand up for and behind the men and women of this department! WTOP’s Neal Augenstein and Rick Massimo contributed to this report. How do you spot the potential repairs most likely to turn a dream home to a money pit? Here are seven costly repairs you may be able to spot before closing.